When you need land surveyed, it’s important to work with experienced professionals. A Land surveyor will determine property boundaries, prepare maps and survey plots accordingly. As a leading land surveyor, we are involved with measuring properties and pieces of land to determine boundaries. 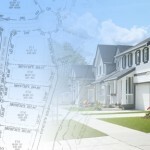 The information gathered is necessary for many reasons; it helps determine where roads or buildings will be constructed, settles property line disputes, and can lead to the creation of maps. DuSouth Surveying is a leading provider of surveying and civil engineering services, offering surveying services to the public. Both residential and commercial requests are expertly completed by DuSouth’s Land Surveyors. DuSouth is proud to serve the state of Georgia as Land Surveyors. We are a full-service Georgia Lad Surveying and Engineering firm with Jerry Wood as Registered Land Surveyor and Brian Wood as registered Professional Engineer. We pride ourselves on providing exceptional and quality services to each of our clients across many different industries. Dusouth Surveying has become the leader in Surveying in Georgia. We are always looking for opportunities to use our state of the art GPS technology that allows us to provide excellent services to our clients. DuSouth is pleased to offer Georgia the following information on our qualifications for your upcoming projects. We specialize in engineering, land surveying, and land planning. DuSouth also has the skills and support needed for all of your development needs including A/E/M/P engineering, GDOT upgrades, grading, land clearing, storm water NPDES monitoring, soil identification and wetlands delineation. FEMA Elevation Certificates are used one to determine if your house or structure is in a Flood Hazard Area. A lot of Mortgage companies are automatically putting Flood Insurance on houses that may or may not be in FHA. We can file LOMA (Letter of Map Amendment) to FEMA on a case by case basis. FEMA will review each LOMA and determine if the structure is indeed out of the FHA and then send a letter stating so. This letter can be used to send to your mortgage company to eliminate Flood Insurance which can be very costly. In most cases, the Mortgage Company will only eliminate the Flood Insurance with an FEMA Certified Elevation Certificate and/or a LOMA. Who does a Land Surveyors do work for? 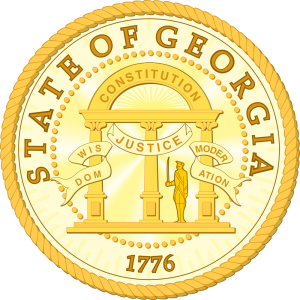 Georgia land surveyors play an important role in ensuring the accuracy of title documents, land area maps and public records. Between working in the office and in the field, land surveyors provide an essential service to attorneys, construction companies, prospective buyers and anyone with interest in land. Working with a land surveyor benefits all involved parties, as accurate information about the land leads to improved decision making and reduced error. With strict adherence to laws and regulations, land surveyors perform a vital service. Q – What does a Land Surveyors do? A – Land Surveying is the art and science of locating points above and below the earths surface. The findings of these points are then related to common reference system. Land surveyors determine prepare maps, property boundaries and survey plots. Surveyors provide documentation of legal property lines and help determine the exact locations of real estate and construction projects. Q – What type of technology do Surveyors use? A – Global Positioning System (GPS) equipment. GPS equipment uses satellite data to gather information with the utmost accuracy. The equipment is helpful when trying to gain the most accurate perspective in the situation. Q – Can a Land Surveyors help me with a legal dispute over land? A – We are not a legal team, but we are the experts when it comes to land. A land surveyor findings are usually considered legally binding and they have been known to be called on to present their findings in a courtroom setting. At DuSouth Surveying, we work with property owners, construction companies, developers, government agencies and other organizations to accurately survey land prior to construction. Fully insured with over a decade of experience, DuSouth Surveying is the top choice for professional surveying in Georgia. At Dusouth, we have become the leader in Georgia Land Surveying. We are here to serve the local community as well as provide outstanding services throughout Georgia. Whatever the job requires contact us today so that we can help you measure your land properly and efficiently! We have the process down to science that will help you to make the best decisions possible with the information provided. Land Surveying in Georgia is the science of measuring and mapping relative positions above, on or under the surface of the earth, or establishing such positions from legal or technical documents. Sometimes, one may also consider the Land Surveyor to be a “professional measurer”. However, the Land Surveyor also deals not only with both mathematical and physical aspects of measuring, but applies them to the legal aspects of boundary law. Modern technology has changed how the Land Surveyor uses physical measuring and applying mathematics to the work. Modern instruments used to measure the land now reduces the physical labor involved in measuring, and has increased the accuracy. Advancements in computer technologies has increased the speed and reduced errors. Contact The Georgia Land SurveyingCompany!